A good website helps you clearly communicate your message to the world. A great website makes it easier for your users to find what they are looking for, engage with your content and take actions that support your cause. 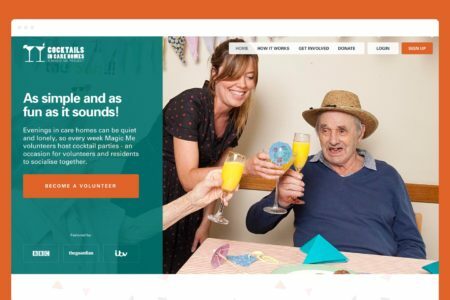 At Hands Up, we have over eight years experience of designing great websites for charities just like yours. 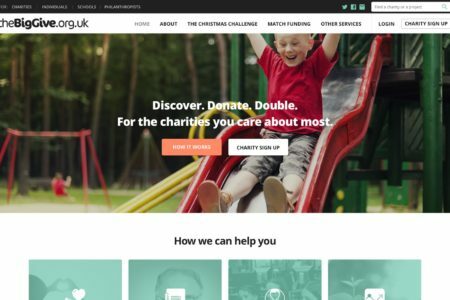 We’ve designed and built over 100 websites for charities — from complex resource libraries to bespoke social networks and interactive campaign microsites. We specialise in user-focused design – finding the solution that works best for the people who use your website. We use WordPress for most of our projects. It’s flexible, open-source, and powers over 25% of the web. WordPress also has a huge development community, is user friendly, and infinitely extendable with plugins. We love it and think you will too. We work on projects of all sizes. Our working model means we can add value to any project by bringing professional agency expertise without the agency prices. Whether your goal is to raise more money, generate campaign pressure, or simply to better explain your mission, our experienced strategists, digital project managers, designers and developers are ready to help you meet it. We ask every client to score us on a range of criteria. We’re a flexible team – and we’ll work collaboratively with you to meet your project needs. This is an example of our standard process. Your mileage may vary. All our projects start with understanding you, your project and your audience. It is only by understanding the needs of your current and potential website users that we can help you create a website will meet those needs. Our user research expert, Seb, will lead a discovery process featuring workshops, interviews and data analysis giving us the groundwork for the steps to come. Here we take what we have learned during discovery and use that knowledge to sketch out the layout and functionality of the site. As smartphone use increases, how your site appears on a mobile is definitely no longer an afterthought. 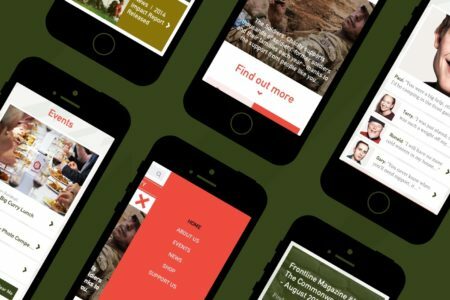 For that reason we usually take a ‘mobile-first’ approach to wireframing, which means thinking about mobile layout before desktop layout. On larger projects we can user-test wireframes, to get feedback on features before any development budget is spent. The look and feel of your website is your window to the world. We know how important clean, engaging design can be. We take your existing brand, our wireframes, your user’s feedback and a list of sites that inspire you and throw them into the mix. Then Sasha our lead designer comes up with initial homepage concepts (mobile and desktop), which we refine together before moving onto further templates and elements. All of this is presented as a clickable prototype which allows easy collaboration and comments. 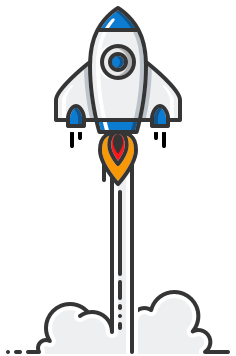 Unlike some other agencies we don’t have fixed limit on iterations, we’ll keep working until you’re happy. We like WordPress because it allows us to build hugely flexible websites. We use off-the-shelf plugins that we've tried and tested on many other sites to keep costs low, and our own expertise and development skills to create a site tailored to your needs. User testing is an important component of any website build. It makes sure you’re getting just what you need. There are a range of options for testing, depending on budget, starting with a combination of our team, your staff, and friends and family. But we would recommend finding a small group of users, with a range of knowledge about your organisation and technical skill, to help out. We offer support hours to help you make better use of your website. This means you can call or email us when you need help or advice. We don’t charge a fixed monthly support fee, instead most clients buy blocks of hours which can be used whenever necessary. Our hope is that you’ll like working with us, and want to do so again. We believe websites are living things that can benefit from regular pruning and improvement. So our hope is that you’ll come back in six months to a year and revisit the work done, seeing how it can be updated and improved to better meet your and your users’ changing needs. We are always up for a chat - whatever your need or budget, get in touch! If we aren’t able to help, we’ll probably know someone else who can.